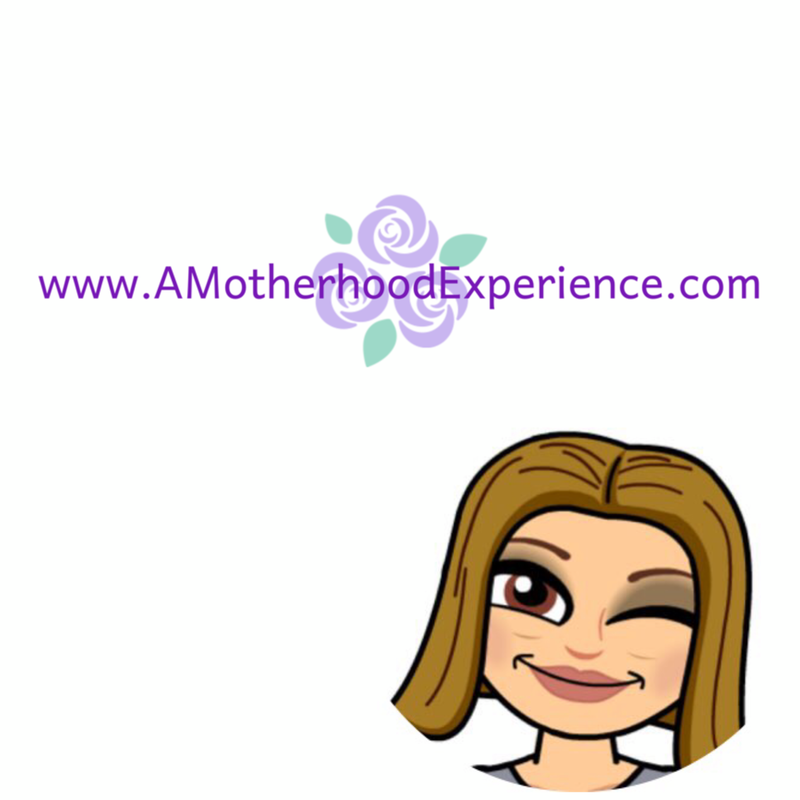 We are only days into August and I am thinking all things "back to school", "back to routine", which means not only getting the kids organized but also myself and our home. Over the summer we have kept up with the basics around here but hey, it's summertime and the major jobs, of course, were put off to the sidelines. 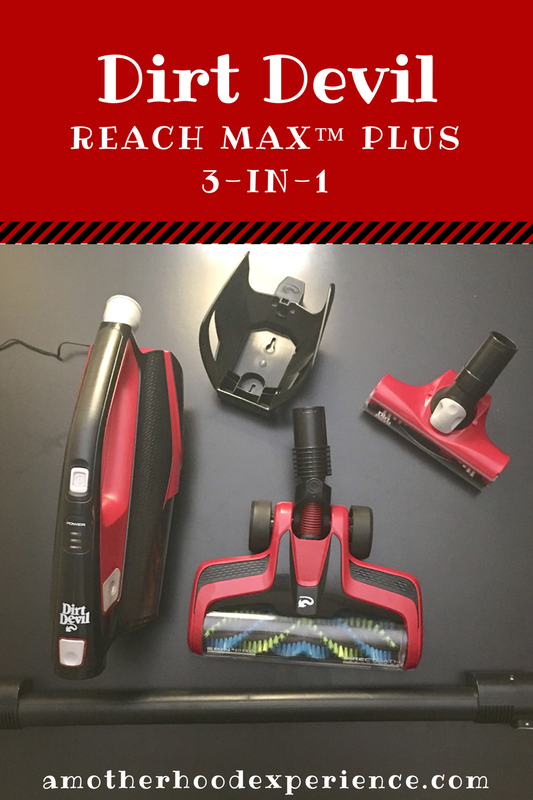 My new Dirt Devil Reach Max™ Plus 3-in-1 vacuum couldn't have come at a better time! It's small, it's lightweight and with a 24V battery, it's powerful for getting my cleaning jobs done; did I mention it's also cordless? It's easy to set up, basic "click and go" attachments. It steers under, above and around the house with ease and a powerful SPIN4PRO™ brushroll designed to tackle messes on both carpet and hardwood floors. Need to get rid of those cobwebs in the corner, crumbs in the stairs or the kids last snack mess in the back of the car? This vacuum easily converts to a cordless hand vacuum and comes with accessories like crevice tool, powered cleaning wand, carpet nozzle and stair/upholstery tool to get those jobs done. It's easy to empty with the simple press of a button. Just be careful if you have pets that shed, I accidentally jammed up the vacuum but taking it apart and emptying it was super easy. It also comes with a wall mount for easy, out of the way storage. If you are looking for something small, lightweight and not too pricey, the Dirt Devil Reach Max™ Plus 3-in-1 could be the vacuum for you! You can find this and other Dirt Devil vacuums at your local Canadian Tire, Lowes or Walmart stores. Visit www.dirtdevil.com for more information. We want you to experience some lightweight cleaning! Enter to win a Dirt Devil Reach Max™ Plus 3-in-1! Open to Canadian residents 18+ excluding Quebec. Ends August 30th, 2017. Click here for general giveaway policy. Posted on behalf of Dirt Devil. Complimentary product received for review purposes. Opinions and comments are my own. I would love the upholstery tool. I love to vacuum my furniture. I like how it is lightweight! Thanks! My favourite feature on the Dirt Devil Reach Max™ Plus 3-in-1 is that it's cordless! My favourite feature is that it's lightweight! It means I can take it into smaller places or actually vacuum the stairs more often. The feature that is my favourite is that it is cordless. I like the upholstery tool and that it's lightweight! My favourite feature is that it converts to a handheld, which makes it super easy to bring it to various places around the house, the garage and the car! Love the fact that it's cordless. I once tripped over my central vac hose on the stairs and fell all the way down. I love that this vacuum easily converts to a cordless hand vacuum to help me clean corners and the stairs! My favourite feature on the Dirt Devil Reach Max Plus 3-in-1 would be that it is cordless - brilliant! I also would love the crevice tool - would be super handy to get the cheerios etc that fall near the carseats/boosters in the car! My favorite feature of the Dirt Devil Reach Max™ Plus 3-in-1 is the Stair/Upholstery tool. It would be perfect for removing pet hair and dust, etc from couches, drapes, pillows, car seats, patio furniture and of course the dreaded stairs. I love that it converts into a handheld vacuum and most of all that it is not expensive. My favorite feature is the stair/upholstery tool. We have carpeted stairs going down to our basement and this would be perfect for cleaning them! I love that the Dirt Devil is cordless! it is cordless so I can tackle all that dog hair in my car! so much to love about Dirt Devil, love the SPIN4PRO™! I love that the vacuum easily converts to a cordless hand vacuum. I like how it is lightweight! Love the fact it is lightweight. I love that its cordless! Love the fact that it's light and cordless. a lightweight cordless convertable vacumm! Wonderful! I like the 24V battery because i dislike tripping over the cord. My favorite feature is that it converts to a handheld. I love that it's cordless and comes with so many attachments! I love the fact it is light weight and cordless. I have a huge clunker of a vacuum and I HATE when I have to vacuum. Thank you for the chance. I love that it coverts to a cordless vacuum. My favourite feature would be that it is cordless. That would make my life a lot easier! I like that it can convert to a cordless hand vac! My favourite feature would be that it is cordless. This would make it so handy for vacuuming and make the job go quicker. I like that it is small, we live in a tiny apartment and this is important to me, so that it will fit in the closet. That it is light and easily converts to a cordless hand vacuum. The lightweight feature would be my favorite!! I love the cordless feature! I like that it's light and can get into narrow spaces - it would be great to clean the car! I love that it is lightweight and cordless! I like that is is lightweight so it will not hurt my shoulder. It has many great features but I like SPIN4PRO™ PREMIUM BRUSHROLL for powerful carpet and hard floor cleaning the most. I love how easy it is to empty! I hate bagged vacuums! My favourite feature on the Dirt Devil Reach Max™ Plus 3-in-1 is that it's lightweight. I love that it's lightweight and cordless for jobs like the stairs. Thanks for the chance. My favourite feature is that it's powerful. I also like that it's lightweight. FOR ME Its all about being cordless!! I like that this is cordless so I can use it anywhere! I am a fan of lightweight. I hate lugging around a big heavy vacuum cleaner. Also excited to try the upholstery cleaner. The fact that it is cordless is my favourite feature on the Dirt Devil Reach Max™ Plus 3-in-1. My favourite feature is that it's cordless! My favourite feature is that this is portable and goes many places. I've never vacuumed my furniture �� so that attachment is thrilling. I like that it is cordless, convenient for quick cleanups! That it easily converts to a cordless hand vacuum. I like the emptying at the press of a button feature. the feature I love is the removable hand vac to be able to clean stairs and to get to those hard to reach places. I love the fact that it is cordless!! The fact that it is lightweight and cordless means it would be so easy to do my stairs. I love how lightweight it is and the many accessories! It is cordless and will be so easy to handle in tight spots. Thanks. I am used to our central vacuum hoses and trying to reach them all over our house. This cordless lightweight vacuum would safe so much hassle and help me reach all the places I can't get to with the central vacuum cord. We also have two cats and a toddler, so the upholstery attachment would be a huge help around our house!